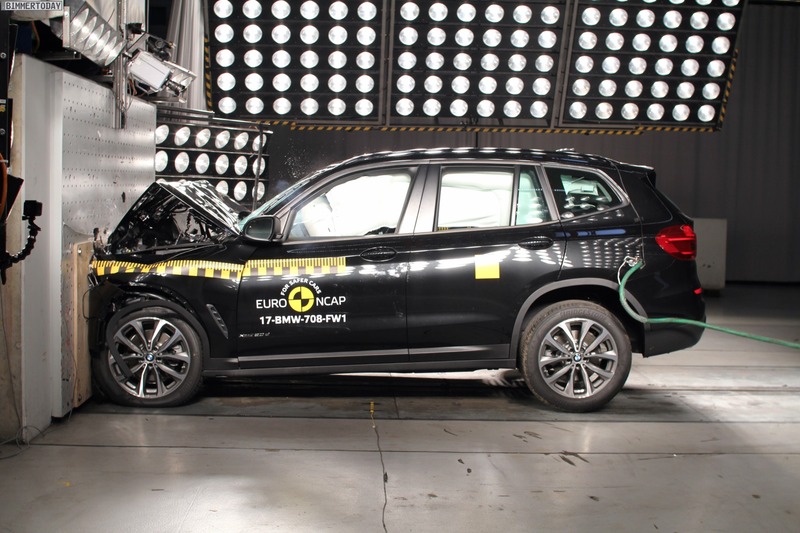 Just a few weeks after its market launch, the new BMW G01 X3 has mastered the Euro NCAP crash test. The third generation of the mid-size SUV secured all five stars and was able to shine with the protection of adult occupants with a rating of 93 percent. 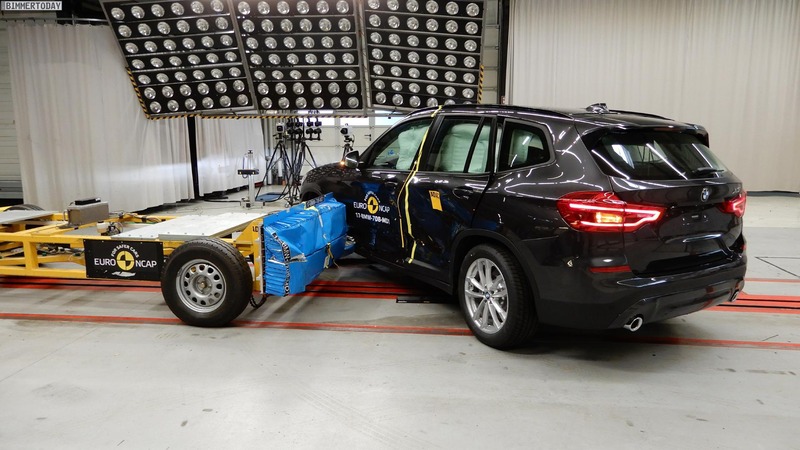 According to the crash-test experts, the passenger compartment of the BMW X3 behaved stably in all tests and could therefore offer convincing protection for the driver and front passenger. The electronic assistance systems, which can completely avoid many accidents, also did a good job. 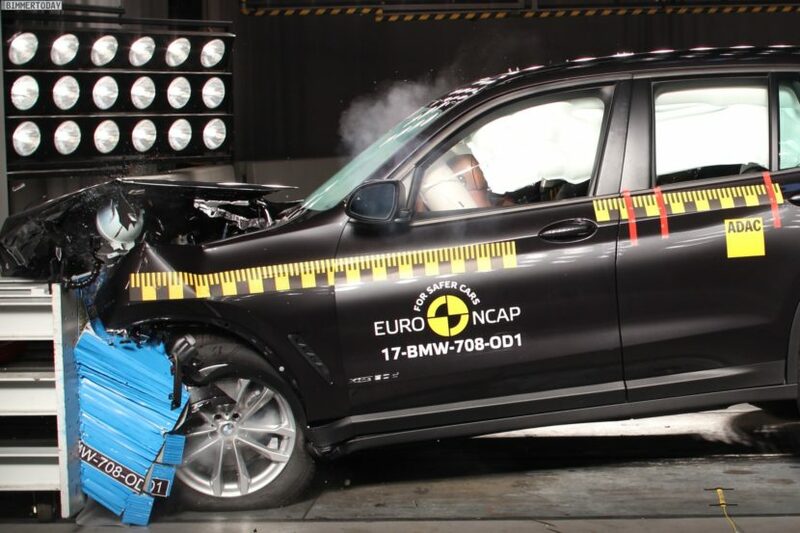 All low-speed Euro NCAP tests, which were crucial for the assessment, enabled the electronic watchdogs to avoid a collision and protect the occupants with autonomous emergency braking. At higher speeds, the systems contributed to a noticeably reduced impact speed and were thus able to significantly mitigate the consequences of accidents. For the protection of children on board the BMW X3 G01, the testers give a rating of 84 percent of the possible points, the pedestrian protection is rated at 70 percent. The active bonnet, which is raised by a few centimeters in a detected accident with a pedestrian and thus allows a gentler impact of the head, convinced in the test and has mastered various scenarios. Even in the case of a possible pedestrian accident, the electronic assistance systems were able to avoid many accidents. The BMW X3 G01 was tested in the popular variants xDrive30i and xDrive30d, the results can be transferred according to the independent testers on all available engine variants.